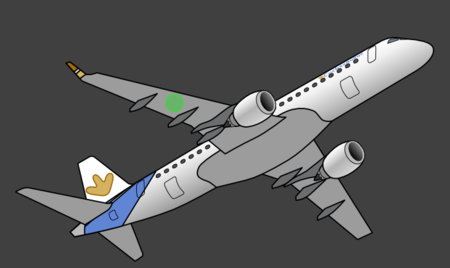 So for this tutorial I've drawn my personal aircraft and the name of my airline is "Cochesaurus Airlines", cool name huh. 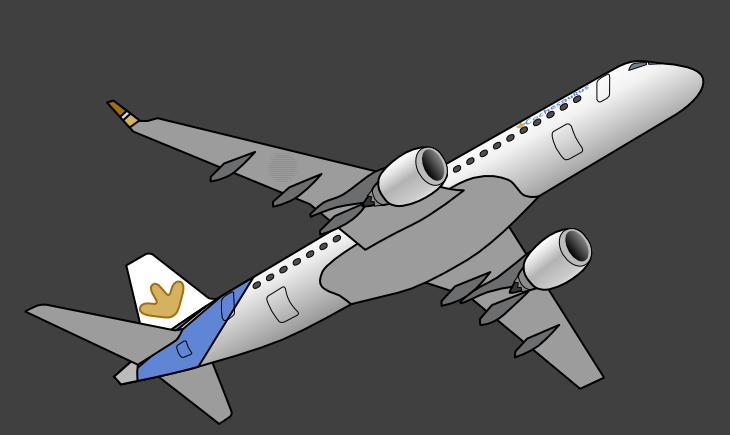 (FIGURE 1) (actually I've just modified an aircraft drawing that I did for the company that employs me). FIGURE 1 Cochesaurus Airlines - first aircraft. FIGURE 2 Drag the color to your existing selection. FIGURE 3 Our semi-opaque circle (the stroke is opaque and the fill is semi-transparent). FIGURE 4 Erase every other row gives a nice touch to our highlight zone. 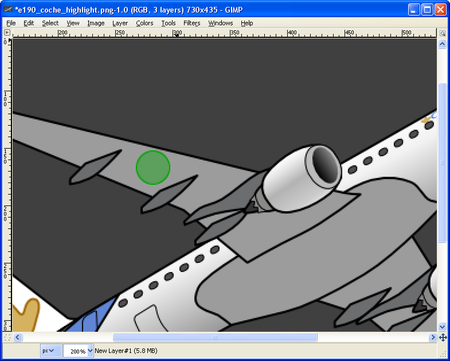 FIGURE 5 Enhance the colors using a duplicate of the original highlight layer. FIGURE 6 Our green highlight zone is complete! 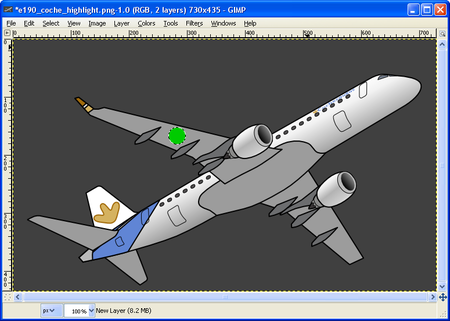 * The aircraft showed in the picture is a "Embraer 190" a nice aircraft manufactured in Brazil. 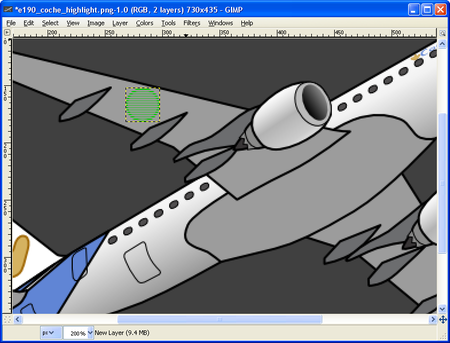 ** The highlighted zone is where the "Fueling Panel" is located in the aircraft.